With Readly you can read All About History - Mary, Queen of Scots and thousands of other magazines on your tablet and smartphone. Get access to all with just one subscription. New releases and back issues – all included. "There are few historical figures whose stories are destined to play out on the silver screen centuries later, but Mary, Queen of Scots’ life needs no embellishment. A saga of love, lies, betrayal and brutality, Mary Stuart’s life was cut short at the age of 44 at the executioner’s block. But what happened in Mary’s formative years to lead to this tragic fate? 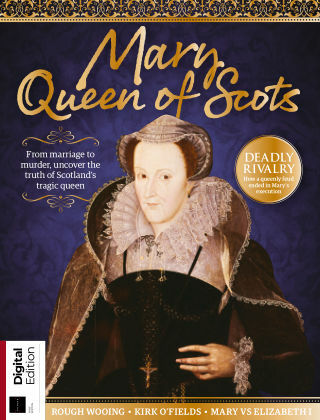 Over the following pages, discover the early life of Scotland’s infant queen regnant, from Henry VIII’s Rough Wooing of the Scots to her eventual marriage to the heir of the French throne. Find out why widowhood was Mary’s undoing, and meet the men who schemed and conspired to win the queen’s crown for themselves. Elsewhere, explore the turbulent relationship between Mary and her Tudor cousin, Queen Elizabeth I and uncover the plots that led to Mary’s eventual demise. "